Here is our list of best Showbox alternatives. I had to compile this list because Showbox recently got shut down for good. Showbox APK was one of the most widely used streaming apps for movies and TV shows. It was also very popular among FireStick users. Since its gone, it only made sense to find its replacements. It wasn’t very difficult, as I had published the best Terrarium TV Alternatives not a very long time ago. Showbox and Terrarium TV were much alike. Hence, their alternatives are also not very different. I have picked the best from the lot. I am confident you will find one (or more) of them as suitable Showbox alternatives. Take a look! 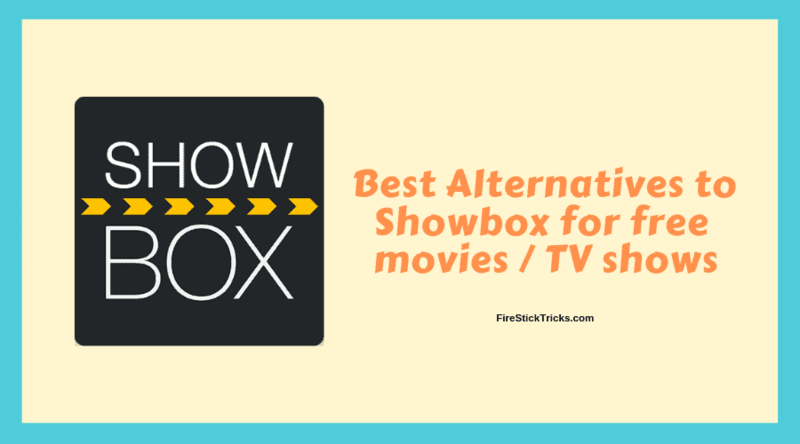 The apps listed as alternatives to Showbox hereon have all been tested and are among the most popular presently. They are just as good as Showbox or even better. Showbox wasn’t remote friendly and worked best with Mouse Toggle app on your FireStick. That was a bit of a hassle. Thankfully, none of these Showbox replacements require you to install an additional app. Install them and they are all set to be used. I started hearing a great deal about this app when Terrarium TV went down and now, I am convinced that it is one of the best apps for movies and shows. Cinema APK is an Android app that works seamlessly on your FireStick, FireStick 4K and Fire TV devices. The app is a hundred percent remote-compatible allowing for effortless interaction. Cinema APK boasts of a huge collection of movies and TV shows. The content is updated so regularly that sometimes I find the new content within minutes of release. The app uses top-grade scrapers that find dozens of working links. The quality of streams is good and it gets better when you sign in with Real-Debrid. With a tidy, easy to use interface and an incredible library of content, Cinema APK is certainly one of the best ShowBox alternatives. Titanium TV is widely considered as a clone of Terrarium TV and understandably so because both share some strikingly common traits. In fact, both are almost completely identical. Install Titanium TV on FireStick and you will know what I am talking about (if you have used Terrarium TV before). Now that Showbox is gone, I would say Titanium TV serves as an excellent alternative of ShowBox app. Titanium TV too has a large catalog of movies and TV shows. From the recently released movies to the newest episodes, you will find it all here. I am also impressed with the quality of video playback this app offers. There are lots of streams to choose the playback from. And, just like Cinema APK, Titanium TV lets you sign in with Real Debrid for an even more amazing viewing experience. 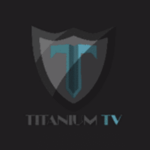 Since Titanium TV is remote-friendly, you can use it without any hassle on FireStick and other Fire TV line of devices. If you are looking for apps like Showbox, Titanium TV is what you must try. Kodi is a media app that can easily replace any other such app just about any time. This app gives you access to a huge world of movies, shows, live TV, sports and whatnot. All you need to do is install Kodi addons and get started. One of the greatest advantages of Kodi is that it is not dependent upon any one app developer. This open-source platform has been developed by a huge community of volunteers. This tool is constantly monitored and updated. As I said, all you need is video addons to get started with Kodi and there are dozens of them available for free. Kodi is one of the best alternatives to Showbox. It may not be one of the similar apps but it sure is a great Showbox replacement. You can install it within 5 minutes on your FireStick. In fact, it is supported on a wide range of devices including Android, Windows, Mac, iOS and more. When Terrarium TV got shut down, TeaTV suddenly rose to prominence, even though it had been around for quite some time. Now that Showbox is gone too, I don’t see any reason why you couldn’t give TeaTV a try. We have this app listed as one of the top alternatives to Terrarium TV. Use it and you will know why it merits a space here on this list of top Showbox alternatives too. Like most on-demand apps, you will find a considerable number of movie and TV show titles here. I am also quite happy with its scrapers that get you best links from around the web. Playback speed is not as fast as I have seen in Cinema APK and Titanium TV, but the video quality is completely acceptable. TeaTV usually pulls 720p and SD links, but sometimes you get 1080 too. Again, with Real-Debrid, you can expect higher quality streams. CyberFlix TV is another app you would want to try if you are looking for suitable alternatives to Showbox. It is more like Titanium TV and is also considered as a Terrarium TV clone. The interface, layout, and organization of CyberFlix TV is much the same. I like CyberFlix TV as it gets all the basics right. The app has a big media catalog, which gets updated timely. You will always find the latest movies and shows available for streaming. Just like the others on this list, CyberFlix TV fetches multiple links, giving you enough choices to find high-quality playback. It is a FireStick remote-friendly app, which is easy to use. It is lightweight and fast too. TVZion isn’t really the greatest alternatives to ShowBox but I guess we don’t have a lot of options anyway. I am not saying the app is bad. In fact, it is pretty decent. With a solid content library and a neat interface, TVZion does offer good entertainment experience. However, it’s just not as good as the others on this list, especially if you compare it to Cinema APK and Titanium TV. That said, install this app and you will find all the trending and popular titles right on the home-screen. You can quickly toggle between movies and TV shows through the menu on the top. 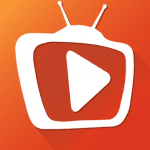 TVZion is remote friendly and hence navigation is smooth on your FireStick devices. It works great on Android boxes as well. There is a limit of 500 hours of playback with TVZion. However, you can get additional 1000 hours when you install an app from Google Play Store recommended by this app. Since FireStick does not support the Play Store, this trick doesn’t work on it. The workaround is to uninstall and reinstall the app when you run out of the hours. Now that you have several options to use in place of Showbox APK, I would like to warn you that everything you stream online is visible to your ISP and Government. This means, streaming copyrighted content (free movies, TV shows) might get you into legal trouble. Thankfully, there is a foolproof way to keep all your streaming activities hidden from your ISP and the Government. All you need is a good VPN. A VPN helps you bypass Online Surveillance, ISP throttling, and content geo-restrictions. 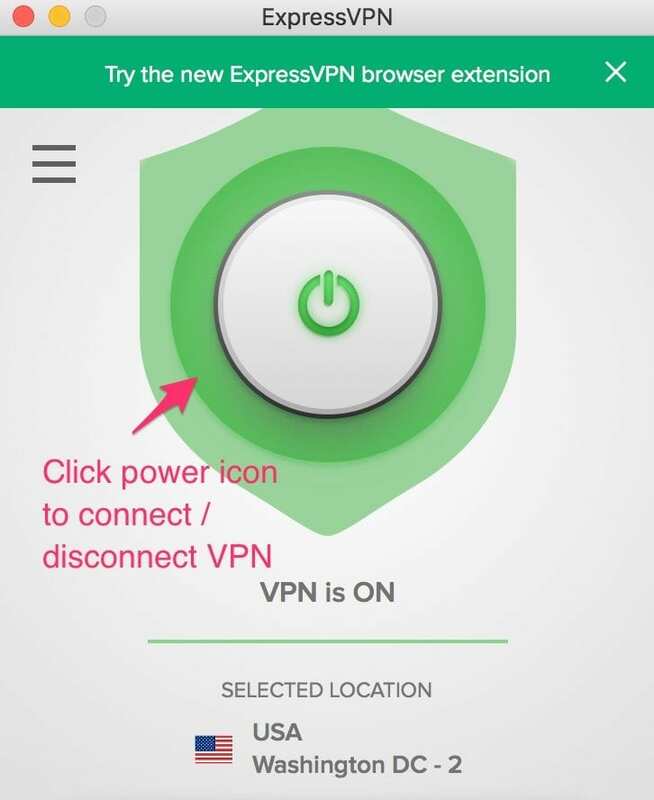 I personally use and recommend ExpressVPN, which is the fastest and most secure VPN. Also, it is very easy-to-install on Fire TV / Stick or other devices such as Windows PC, Mac, Android or iPhone. So, before you start using these apps, let’s see how to use ExpressVPN to keep your streaming activities hidden from prying eyes. Step 3: Click the Power icon to connect to a VPN server. That’s all. Your connection is now secure with the fastest and best VPN in the industry. This is our list of the best Showbox alternatives. If you have been using Showbox, I am confident you will like these options. They are pretty much the same. I have also provided the link to the installation guides with each app. This will help you quickly install the app of your choice on your FireStick device. If you have any questions or want to share your experience with us, feel free to use the comments section below. These seem to alternatives for FireStick ONLY…..
What about everything OUTSIDE of FireStick? Hey Veronica, FireStick is Android-based device, so all these apps work on other Android devices too including smartphones. Cyberflix TV is Terrarium TV. They just basically changed their name. Check it out. Nothing is different about it.